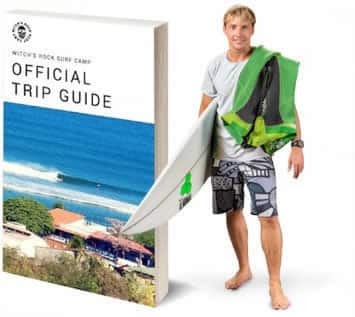 What’s the next best thing after surfing? Great beer, of course! 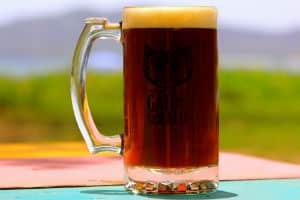 We started brewing beer in 2011 with the goal to locally produce high quality craft beer for our surf camp guests and the rest of the Tamarindo community. You can enjoy quality Volcano Brewing craft beers in our beachfront tasting room and our restaurants Eat at Joe’s and El Vaquero. 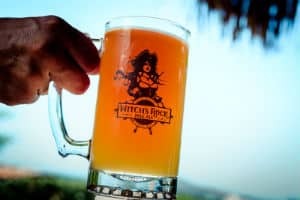 In total, Witch’s Rock Surf Camp has 45 taps located throughout the resort serving delicious craft beer. 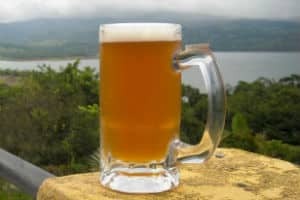 Try our local brews or one of the many other local Costa Rican craft beers on tap. And the biggest news: We are opening a bigger production microbrewery, taproom, and disc golf right here in Tamarindo. Check out the Volcano Brewing Company facebook page and the Volcano Brewing Company website more info. This medium bodied, balanced brew is perfect after a surf session, or to cool you down from your day in the sun. Containing tropical, floral, and citrus undertones, this beer is drinkable and refreshing, with a gravity of 4.5%. A traditional southern brown ale with a classic malty taste, this brew contains hints of toasted malt, chocolate, caramel and coffee. Perfect for dark beer lovers, with a 5% gravity. Like the pale ale, but turned up a notch. It still contains the tropical and citrus taste of our pale ale, with a hoppy balance and a 6% gravity.